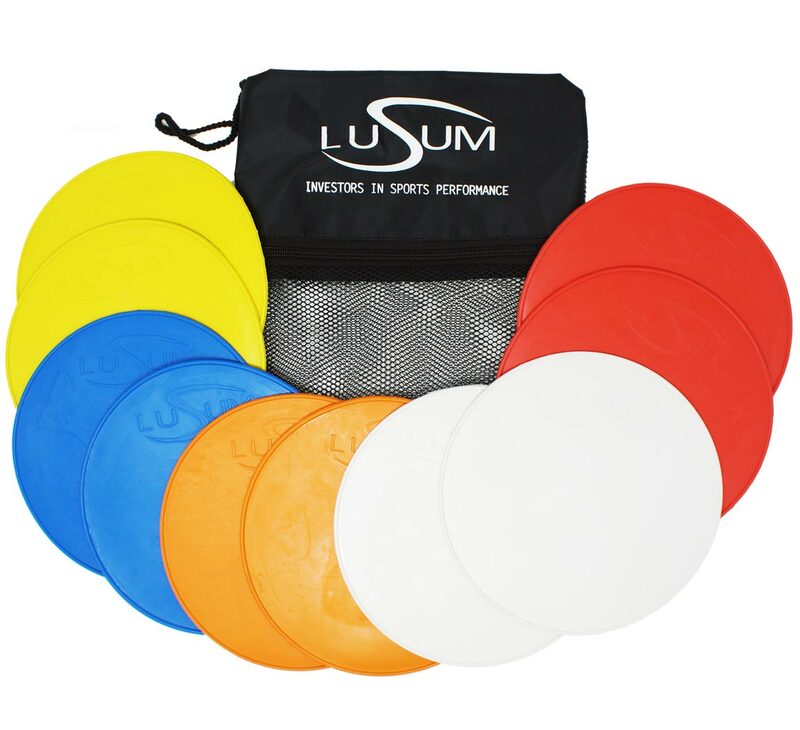 Many schools, clubs and coaches from a wide variety of sports, have found these Lusum flexible rubber flat round marker discs to be the perfect solution for spot marking. They can be used to mark out a playing area or for positional play, to explain where players should be standing. 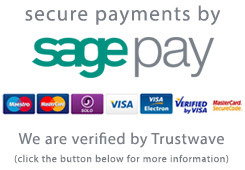 They are suitable for use indoors or outdoors on any flat surface. The non slip design uses a raised diamond shape under carriage to ensure the discs do not move around. 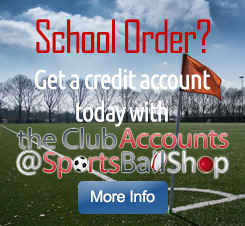 This makes them ideal for all ages and for any sport. 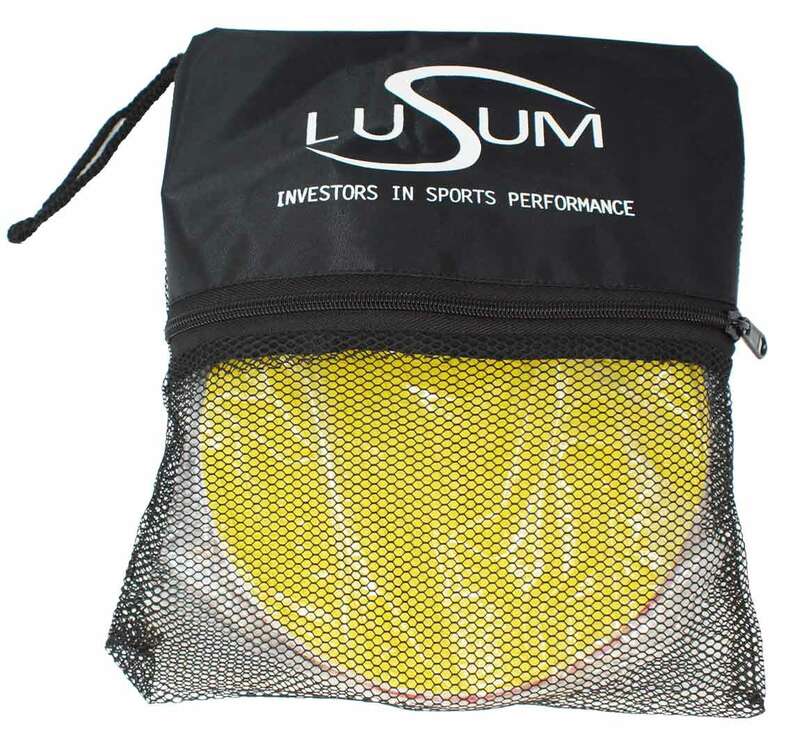 The discs measure 200mm in diameter and come with a Lusum heavy duty zippable mesh panelled bag.